Immigrant Services & Connections (ISAC) arose out of a needs assessment showing that immigrants with limited English proficiency and/or cultural barriers have trouble accessing services they are entitled to in our region. ISAC is a five agency partnership headed by Jewish Family and Community Services, and all agencies are experts in serving the growing immigrant community. Partners include Casa San Jose (a program of the Sisters of St. Joseph), Literacy Pittsburgh, Latino Family Center of the Allegheny Intermediate Unit, and South Hills Interfaith Movement (SHIM). ISAC is funded by the Allegheny County Department of Human Services. To connect vulnerable refugees and immigrants to the resources they need to rebuild their lives while also helping to build a more welcoming community. To help immigrants and refugees living in Allegheny County with barriers of language and/or culture overcome the challenges of connecting to existing services, programs, resources, and communities. Casa San Jose: Casa San José works with Latino immigrants by providing help accessing services, case management, and advocacy. Casa helps to bridge the cultural divide between the Latino community and service providers. JFCS: For 80 years, JFCS has remained vital and relevant in our community and always available to respond no matter how difficult the problem. By continuously adapting our programs and services, we meet the changing needs of our dynamic and diverse population. We are a known leader in providing innovative and effective solutions to problems facing families and individuals of all ages in our region. Latino Family Center: The Latino Family Center offers resources and assistance to the community and to families with children, ages 5 and under through in-home child development services, parental support, and support groups. Literacy Pittsburgh: Literacy Pittsburgh creates better lives through learning by providing free classes and tutoring in reading, writing, math, English as a Second Language, digital literacy, citizenship and workforce skills so they may reach their fullest potential in life. 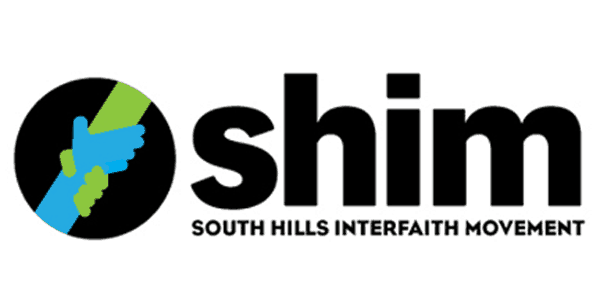 South Hills Interfaith Movement: South Hills Interfaith Movement (SHIM) has been providing critical supportive services to low-income suburban families living in the South Hills of Pittsburgh since 1968. SHIM mobilizes community resources and implements sustainable programs that help our neighbors meet basic needs, achieve self-sufficiency, and build community. ISAC offers walk-in office hours at many locations around Pittsburgh. Clients can receive help reading mail, making appointments, filling out applications, and many other things. Locations have multi-lingual staff, interpreters, and live phone interpretation. Click below for the most current Office Hours schedule. ISAC is not a crisis intervention service. If you or someone you know is experiencing an emergency, please call 911. ISAC provides interpretation for its clients according to language access requirements of Title VI of the Civil Rights Act. ISAC is not an interpretation service and does not provide interpretation for non-ISAC staff.